By visiting Beauty Omelette Blog website, you explicitly declare and undertake that you have fully read these terms conditions of use for Beauty Omelette Blog website and understood the contents contained herein and accept that you have unconditionally agreed and approved any content on this page and Beauty Omelette Blog website and will not file any complaint and plea regarding the same. BEAUTY OMELETTE TEKSTİL KOZMETİK PAZARLAMA SAN.TİC.LTD ŞTİ reserves the right to amend these terms and conditions of use at any time with immediate effect upon posting on this page. Beauty Omelette Blog users can stop using Beauty Omelette Blog website at any time if they do not accept any of the updated articles. Beauty Omelette Blog users cannot claim any right against BEAUTY OMELETTE TEKSTİL KOZMETİK PAZARLAMA SAN.TİC.LTD ŞTİ in this respect. If you violate any Terms and Conditions of Use for Beauty Omelette Blog, BEAUTY OMELETTE TEKSTİL KOZMETİK PAZARLAMA SAN.TİC.LTD ŞTİ is entitled to file a lawsuit or initiate legal proceeding against you. Beauty Omelette Blog service shall not be utilized in a manner to violate public order, general ethics, disturb and abuse others, for any purpose against laws and infringement of third party intellectual property rights and copyrights. No transaction will be performed on Beauty Omelette Blog infrastructure in such a way to impose an unreasonable or disproportionate burden. The contents and software of and any intellectual and financial right belonging to Beauty Omelette Blog website shall be the property of BEAUTY OMELETTE TEKSTİL KOZMETİK PAZARLAMA SAN.TİC.LTD ŞTİ. Beauty Omelette Blog users agree that they will not use any robot, spider, or other automatic device, or manual process to monitor and/or copy, reproduce, or modify Beauty Omelette Blog website or the content contained therein or for any other purpose not permitted and authorized and without prior written and explicit consent of BEAUTY OMELETTE TEKSTİL KOZMETİK PAZARLAMA SAN.TİC.LTD ŞTİ and that they will not create or publicize any derivative works from the content of Beauty Omelette Blog website. Beauty Omelette Blog users agree that they will not use any tool, software or instrument to interrupt or attempt to interrupt the functioning of Beauty Omelette Blog website, will not access Beauty Omelette Blog website without authorization and perform any unauthorized transaction on the same and will not access and use the software and data of other internet users without their authorization. Otherwise, any damages and/or administrative/legal fines that BEAUTY OMELETTE TEKSTİL KOZMETİK PAZARLAMA SAN.TİC.LTD ŞTİ has to pay to any public authority and/or third party will be compensated by the user who is responsible for such damages and/or fines due to violation of the above provision. Beauty Omelette Blog users will not use Beauty Omelette Blog website to share any copyrighted information and material in an illegal manner, without explicit authorization, any valid argument or just cause. 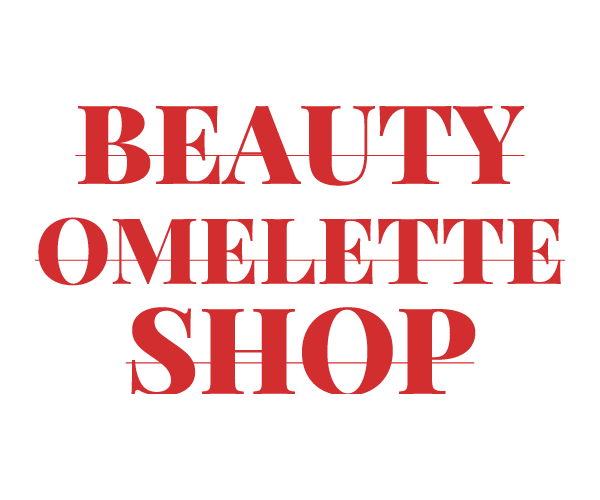 Beauty Omelette Blog users agree and undertake to comply with and not to breach the Intellectual Property Law, Turkish Commercial Code, Turkish Penal Code and other laws. Otherwise, any damages and/or administrative/legal fines that BEAUTY OMELETTE TEKSTİL KOZMETİK PAZARLAMA SAN.TİC.LTD ŞTİ has to pay to any public authority and/or third party will be compensated by the user who is liable for such damages and/or fines due to violation of the above provision. If any copyright owner or his representative notifies BEAUTY OMELETTE TEKSTİL KOZMETİK PAZARLAMA SAN.TİC.LTD ŞTİ that a Beauty Omelette Blog user uses Beauty Omelette Blog website as a medium to infringe or violate any right or proves such infringement or violation by means of a court order or the acknowledgment of the related user, BEAUTY OMELETTE TEKSTİL KOZMETİK PAZARLAMA SAN.TİC.LTD ŞTİ shall be entitled to cancel the rights of access and/or usage of the website of the related user. If BEAUTY OMELETTE TEKSTİL KOZMETİK PAZARLAMA SAN.TİC.LTD ŞTİ suspects any alleged infringement or violation by the help of its technical facilities, BEAUTY OMELETTE TEKSTİL KOZMETİK PAZARLAMA SAN.TİC.LTD ŞTİ reserves at its discretion the right to cancel the rights of access or use of the website of such users without the need for a notification, court order or acknowledgment as mentioned above. BEAUTY OMELETTE TEKSTİL KOZMETİK PAZARLAMA SAN.TİC.LTD ŞTİ does not guarantee that the functioning of Beauty Omelette Blog website will be uninterrupted or problem free or that certain results will be generated by using the website or its content or that the website will be accessible. BEAUTY OMELETTE TEKSTİL KOZMETİK PAZARLAMA SAN.TİC.LTD ŞTİ will not be held liable for any damages arising from the use of Beauty Omelette Blog website including any direct, indirect or consequential, incidental and penal damages. BEAUTY OMELETTE TEKSTİL KOZMETİK PAZARLAMA SAN.TİC.LTD ŞTİ is entitled to unilaterally suspend at any time Beauty Omelette Blog website permanently or temporarily. Beauty Omelette Blog users will be legally and criminally liable for any breach of one or more of the abovementioned articles. BEAUTY OMELETTE TEKSTİL KOZMETİK PAZARLAMA SAN.TİC.LTD ŞTİ also reserve the right to claim damages against the violating users if any lawsuit is filed due to such violations. By using Beauty Omelette Blog website, Beauty Omelette Blog users accept that any dispute arising from the website or in relation to the website will be governed by and settled in accordance with the laws of the Republic of Turkey, regardless of the provisions on conflict of laws. Beauty Omelette Blog users also accept that İstanbul Courts shall have jurisdiction. We as Beauty Omelette are committed to ensure that the personal data of any person associated with our Company, including our customers, consumers and employees, under our responsibility are processed and protected in accordance with the applicable legislation including, in particular, the Constitution of the Republic of Turkey, international agreements on human rights to which our country is a party and the Law No. 6698 on Protection of Personal Data (”LPPD”). Accordingly, in the capacity of Data Controller under LPPD, we would like to inform you about the processing of your personal data. The personal data that you share with our Company in your capacity as customer, supplier or employee can be processed, transferred to third parties within the country and abroad, stored, used for profiling and classified in accordance with the LPPD, to the extent which is relevant and proportionate to the purposes of our activities and services. ii) to the extent which is relevant, limited and proportionate to the purposes of processing. iv) for specified, explicit and legitimate purposes. Your personal data can be processed by our Company in its capacity as the Data Controller without compromising on the quality for the purposes of understanding your needs, responding to your request as quickly as possible and improving our communication with you to provide you a better service and offer you more personalized products, services and offers, carrying out necessary analyses in this respect, informing you about our products and services, measuring your satisfaction with regards to our products and services, improving and diversifying our products and services in line with your requests and needs and conducting necessary quality and standard inspections and fulfilling reporting and other obligations under the applicable legislation. The data of our employees can be processed by our Company or any real or legal entity with whom our Company cooperates or who is authorized as per the requirements under the Labor Law and labor and social security legislation and other applicable legislation, within the framework of our human resources policy or due to operational reasons such as ensuring occupational security and work peace. Your personal data can be shared within the Company for the abovementioned purposes in accordance with the LPPD and the applicable legislation and can be transferred within the country and abroad to our business partners, business contractors, performance assistants and sub-contractors for the purposes of the services we provide to them or to any regulatory, supervisory authority and public authority in cases required by the applicable legislation. Your personal data can be collected in oral, written or electronic form for the abovementioned purposes and scope. Your personal data are collected by our Company and any real or legal entities which process data on our behalf in oral, written or electronic form, via any oral or written channel, including but not limited to subscription forms you fill in electronically or any information you allow to be shared via your social media accounts used to subscribe or log in to our websites, communication forms you fill in on our websites or the websites of third parties to contact us, online shopping applications, electronic trade application, agreements you execute with our company and any electronic mail, fax or letter you send to our Company. ix) Request compensation for the damages in case you incur damages due to unlawful processing of personal data. You can convey your request to exercise any of your rights to us in writing or by other means, if any, as determined by the PDP Board. You can send your written request bearing your original signature to the address of Prof. Dr. Erhan Sokak Karanfil Apartmanı No:63 Daire:1 Teşvikiye Mahallesi Şişli/İSTANBUL. Your application to exercise any of your abovementioned rights, including your remarks about the right you wish to exercise, should clearly state your request, should be personally related to you (or if you act on behalf of another person, then you should be specifically authorized in this regard and capable of certifying such authorization), should include your ID and address details and supporting identification documents.